The Relationship Between First Level Resolution, Customer Satisfaction and Support Costs - RDTMetrics.com | real data technologies, inc.
Customers want to have their problems solved as quickly and efficiently as possible. Service desk management strives for that same outcome which also reduces the cost per ticket because less costly staff are utilized to resolve the ticket if it is not escalated to a higher tier of support. In practical terms that means both parties expect the first level service desk agent will resolve the problem most of the time. This metric measures how often that happens and, as such, is a measure of efficiency and cost. This metric shows what percentage of incoming calls are resolved by the first tier of service desk agents. What is the First Level Resolution Formula? You can calculate this metric using either of two methods. The first is often referred to as the “Net” First Level Resolution. It measures only those calls that you have defined as being resolvable at the first level. To illustrate this idea, consider a service desk that has published rules as part of its ITIL Problem Management Process. For example, it may have specified that first level agents are to handle only known problems. To help them, scripts are developed by which they can lead customers to successful resolution of such problems. Or, perhaps rules are established that restrict first level agents from performing certain actions that would require an agent with greater skills and knowledge to work through to a resolution. You might expect this would yield a First Level Resolution rate of 100 percent because, by definition, every call is resolvable at the first level according to your published guidelines. However, perfection is rarely achieved. Agents do make mistakes. An agent new to the service desk may not realize the problem he or she should be resolving is “level 1 resolvable.” An agent may have reached break time, or may be very busy, so decides to push the call to another level. This “Net” measurement is useful when you want to evaluate the first level team’s performance against the published Problem Management Process. You will find this “net” measurement often falls in the nineties. The simpler measure of First Level Resolution compares all calls resolved to the total number of calls. Scores using the “Net” formula should range in the nineties because it only considers the class of problem calls that the first level team is trained to resolve. If this metric falls below about 90 percent it may be pointing out the need for more training, more team building or other steps that help the team get back on track. After all, if a sizable number of “resolvable” problems are not being resolved, this metric gives you a clear red flag. 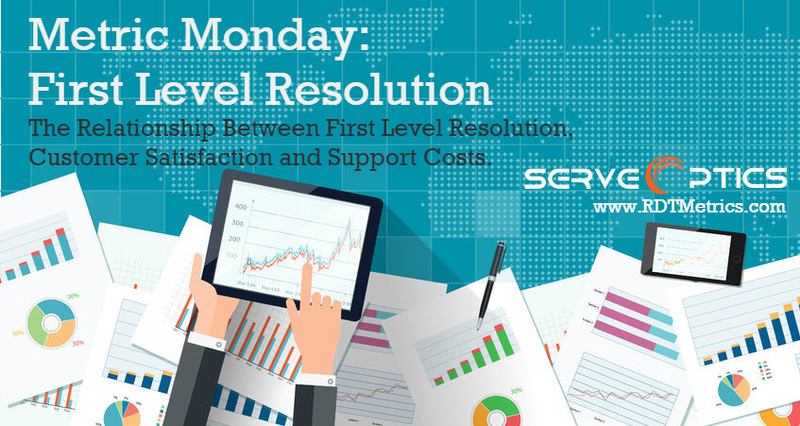 However, with either formula, a poor score suggests that customer satisfaction will decrease, and the cost of service support increases as First Level Resolution decreases. ACD and ticketing systems give you data you need to compute this metric. Some online chat systems do as well. However, having to dig through two or three different systems to gather the information you need is counterproductive. A better solution is a service desk monitoring tool that gives you access to data from all your relevant service desk technologies in a single screen in real-time. 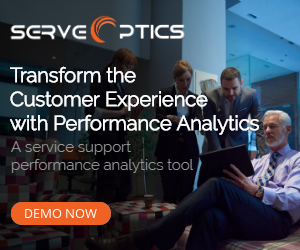 A service desk monitoring tool that gives you access to KPIs and supporting metrics in real-time; one that generates reports that allow you to follow trends among various metrics. Using the right software tool gives you an in-the-moment early warning system to better manage your expenses and to enhance customer satisfaction.